Play | Learn | Have Fun! ICCkids: where chess is made easy and learning is fun! ICCkids offers a variety of simple yet powerful tools for kids to learn and excel at chess. From beginner to advanced students, ICCkids has something to offer all levels of play. Our NEW Learning Center is a great tool for Teachers/Coaches. Check it out! • Play a game 24/7 with thousands of players from around the world. • Over 3000 instructional videos and 5 new videos each week to help improve your chess strength. • Access to our NEW Learning Center where you can master tactical themes with our tactics trainer. Assess your chess strength with our rating meter. Enroll in our interactive chess courses, and see your rating soar! • Review your progress and stats with your historical rating chart and course progress report. • Team Play: Participate in intra-school and team tournaments. 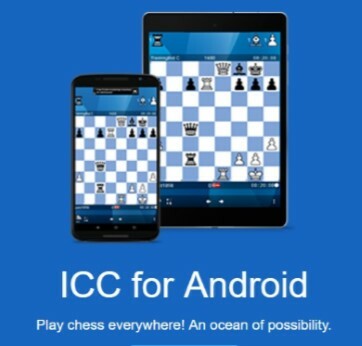 • Participate in hundreds of ICC online tournaments weekly. ICC’s NEW Learning Center offers tools to assist you! • Performance & Statistics area students & coaches can review their progress. • Visit our Teaching Tools page for additional information. • The NEW Learning Center offers fun tools to help your child improve their game! • ICC offers a child safe environment with Limited Chat which only allows predetermined chat phrases like: “Nice move”, “Good game”, etc. You can rest assured your child will not be exposed to any unwanted chatter. • Over 3000 instructional videos and 5 new videos each week for continuing education. 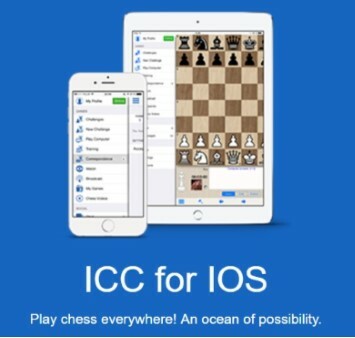 • Members can participate in hundreds of ICC online tournaments weekly, including USCF rated online tournaments. • No download necessary to play and learn. Additional Benefits of ICC Membership! • Team Play: Host or participate in intra-school and team tournaments. If you’re a school, chess club or coach, ICC now offers Club Packages! Click on the link to see a full description and pricing. For more information or assistance, please email Scholastic Director, Patricia Smith: Patricia.Smith@chessclub.com or call: 865 320 4390.